Two years later the volume was drastically altered under the title The Posies of George Gascoigne, and to this day most scholars attribute both versions to Gascoigne. 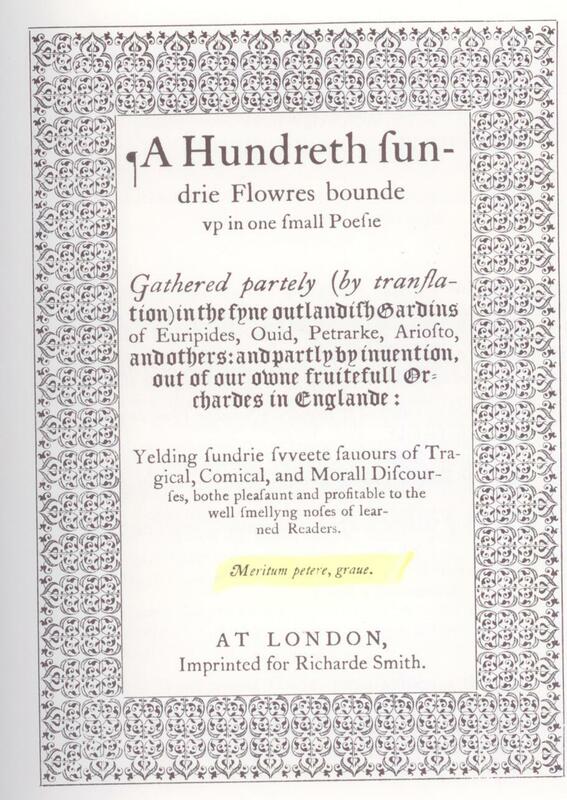 It was not until Edward de Vere was identified as “Shakespeare” in 1920 that it became possible to see that Queen Elizabeth’s government saw fit to have Flowres censored, mangled and republished. In 1926 B.M. 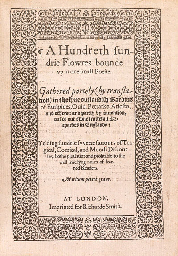 Ward identified Oxford as the editor of Flowres and as the contributor of some sixteen of its poems; but in succeeding years, much more of the anthology has been seen as from his pen – including the eight poems attributed to Ever or Never. Such insights, in turn, have revealed a great deal of evidence that Flowres was the creation of the young man whose genius would give the world the great works attributed to William Shakespeare. Thanks, Peter, for this suggestion and the kind words. I love this idea because he says that every word doth “almost” fel-sel-tell-spell-fell my name….! It could be seen as posseffing or even poffeffing.. Also, at more places in this 75th the ‘s’ seems to be a bit ‘f’. So what is seen ‘fel’ I’m more and more sure is sel(l), with my explanation at the other link. All very interesting, work, Sandy! Let the explorations continue! It has been noticed that in Sonnet 76 the first letters of lines 5, 6, 7, 8 and 9, plus the first two letters of line 10, spell: W-A-T-S-O-AN … close. If it’s meant to refer to Thomas Watson, then I believe it’s a clue to look back at the Passionate Century of Love (Hekatompathia) of 1582, as by Watson, dedicated to Oxford, with its 100 consecutively numbered sonnets (not the Shakespearean form), with no. 81 in the same high position as Sonnet 107, the eighty-first sonnet of the central 100 of the Shakespeare sonnets. I believe perhaps it’s a clue, at the center, to check back to Watson for guidance as to what is going on here. Yes, it seems so. Credit goes to Drs. Eric Altschuler and William Jansen for noticing that Watson is imbedded in Sonnet 76.